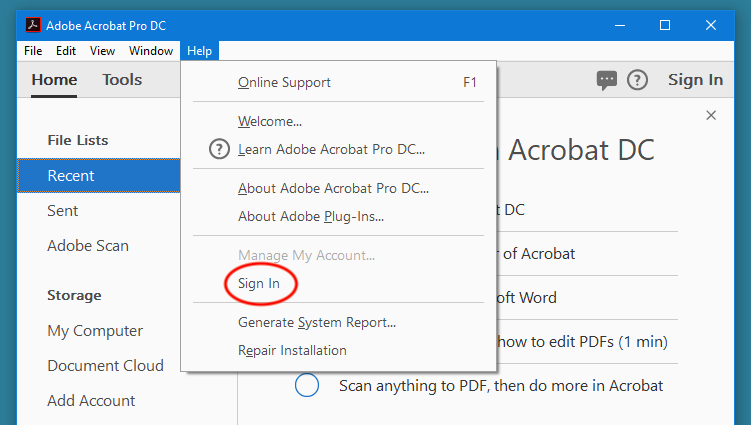 Adobe Acrobat DC licenses are now activated by signing into Acrobat using your CruzID and Gold password. Accounts are provided to faculty and staff who subscribe via the Acrobat ETLA annual subscription program. Students are not eligible at this time. When subscribed, ITS assigns a license to a school account and you sign in using your CruzID and Gold password. After signing in, Acrobat is fully licensed. You will need to sign in every 99 days to refresh the license. Go to the Sign In link in the top right corner of the Acrobat window. or click Enterprise ID sign in to launch Cruz ID/Gold sign-in. If you are a Creative Cloud Suite subscriber, Acrobat DC is included in the suite of software. 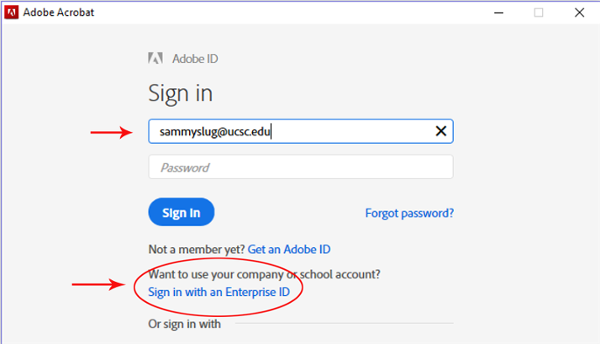 Use your Adobe ID account (should be your UCSC email address) and Adobe ID password to log in. Signing in activates all Adobe Creative Cloud applications including Acrobat DC.